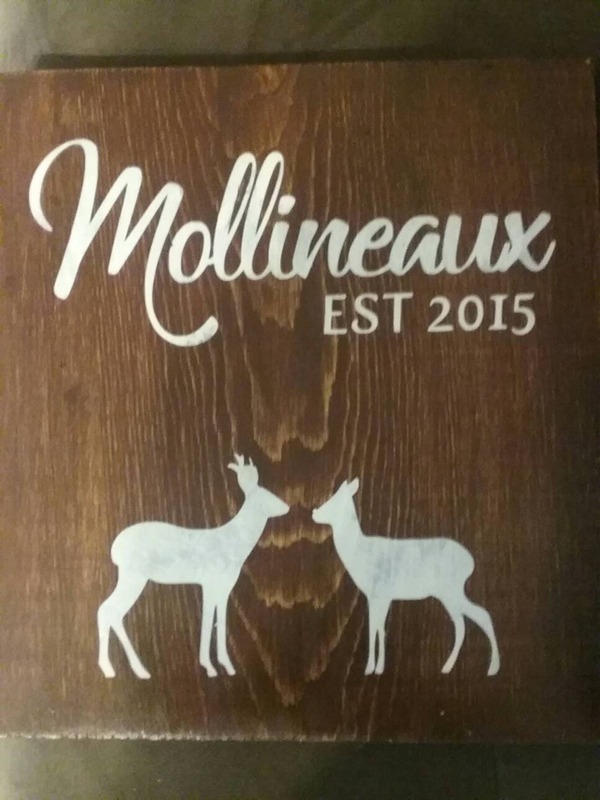 This Hunting wooden sign is a great piece. 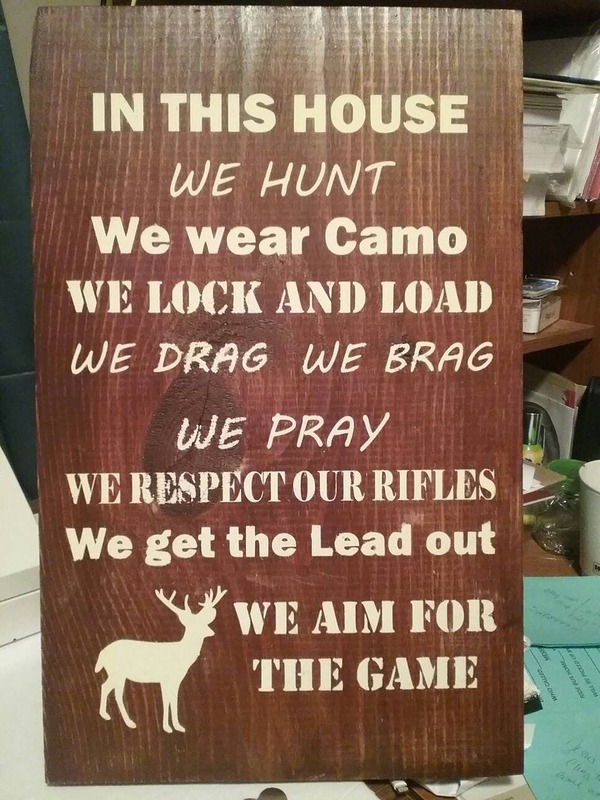 It gives a country feel and is a great addition to any man cave or anyone who loves hunting. Great for gifts. 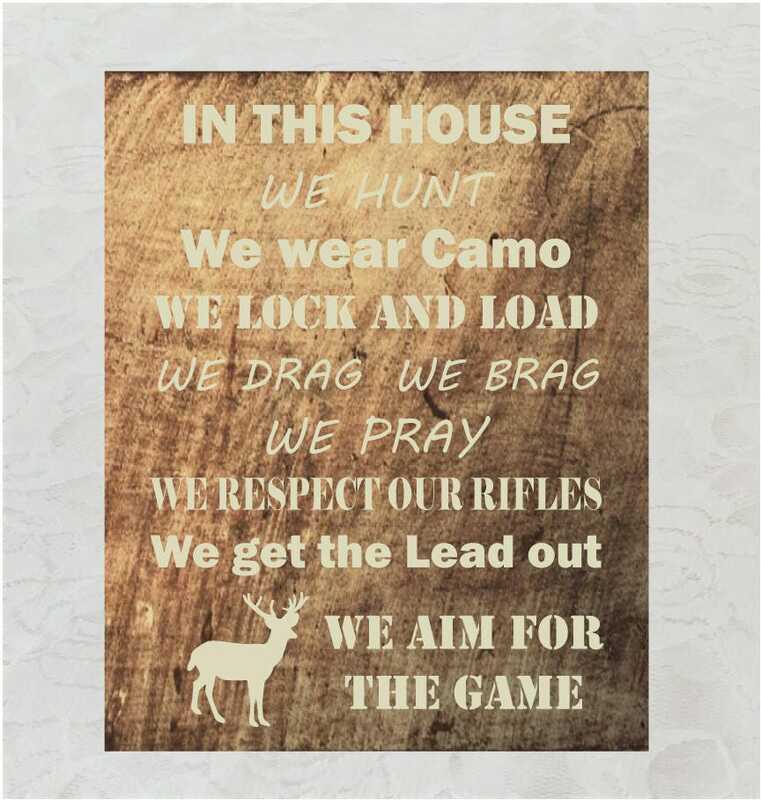 Personalize this real wood sign with your favorite hunting game. This sign is made of real wood. Measures 12 x 15. Wood is stained and sealed. Imprint is hand painted and sealed again for better protection. Wall-mount on back for wall hanging. Please allow 10-14 business days for processing.